A new hybrid nanodiamond-silk material could enhance biological imaging and refine medication delivery. The new particles — developed by a team from the University of Melbourne, the University of Sydney and the Silk Lab at Tufts University in Massachusetts — are just tens of nanometers across and are made of nanodiamonds and covered in silk. They can be injected into living cells and glow when illuminated with certain kinds of light. Biologists can use them to peer inside cells and untangle the molecular circuitry that governs cellular behavior, as well as to study how cells react to a new medication. Illustrated are nanodiamonds seeded on a marked silicon substrate and coated with silk film. Courtesy of Asma Khalid, The Optical Society. The team did discover one challenge: The edges around the hybrid particles tend to be rough, which could cause the nanodiamonds to become trapped inside cell membranes. Previous studies have addressed this issue by coating the particles with lipids, but this new study found that using silk to coat the nanodiamonds not only preserves the nanoparticles’ optical properties, but also enhances their brightness by two to four times. The new material appears to be safe for use in the body, the researchers said, as it left no damaging effects even after spending two weeks implanted inside living tissue. The hybrid particles also could potentially be used in clinics, allowing doctors to send infection-fighting antibiotics to a targeted area of the body, they added. Silk also can be designed to degrade at a certain rate, which the team said would allow clinicians to control the release of medications. Nanodiamonds similar to those used in this study have been explored in the past to determine potential medical applications, but this is the first time silk has been incorporated. During testing of the new hybrid material, the silk remained transparent and did not block the glow of the nanodiamonds. In the future, the team anticipates developing a range of nanodiamond-silk structures that could help researchers improve techniques for fighting infections. A thin film of the new substance, carrying medication, could be implanted directly into an infected area, minimizing the patient's exposure to the drug. 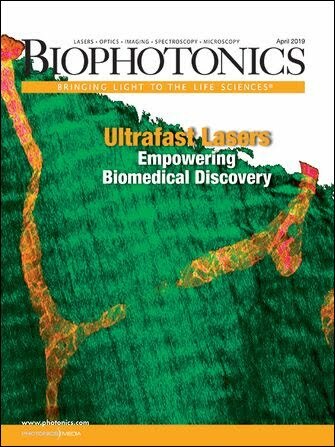 The work is published in The Optical Society's Biomedical Optics Express.